The moon, as seen from the Galileo spacecraft in 1992. Photo courtesy of NASA/JPL/USGS. What is a super blue blood moon, you ask? It's super cool and super rare, that's what. And it's rising above Dallas early Wednesday morning. Early Wednesday morning the moon will put on its biggest show since August, when it passed in front of the sun and turned us all into amateur astronomers for a few hours. Unlike the eclipse, this will be visible to the naked eye — just look up. You’ll have to get up before dawn, though. The “super blue blood moon” earns that stupendous moniker for a confluence of lunar phenomena. “Super” for its unusual brightness, a result of the moon being close to Earth in its orbit. “Blue” because it’s the second full moon of the month. “Blood” because it will take on a red hue while in the Earth’s shadow, a total lunar eclipse. “Moon” because, well, it’s the moon. 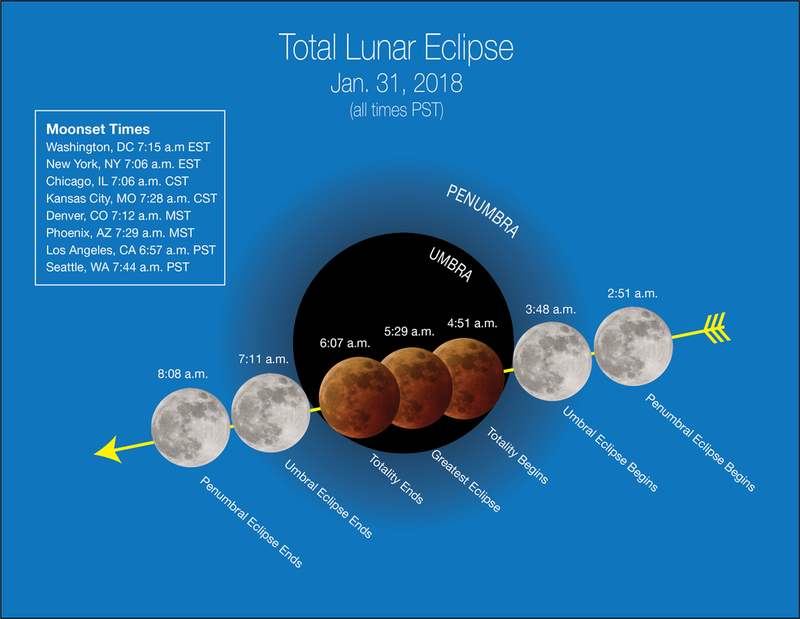 According to NASA, the show starts for us folks in the Central Time Zone will begin just before 5 a.m., when the Earth’s shadow starts to encroach on the moon. Peak super blue blood moon should arrive in Dallas at about 6:15 a.m., and then unfortunately fade as the sun rises and the moon sets around 7 a.m. The weather forecast calls for clear skies, so you’ll be able to enjoy the super blue blood moon while it lasts.